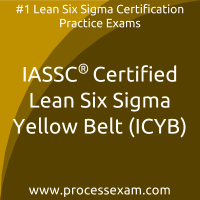 Are you looking to achieve IASSC Certification and become an IASSC Certified Lean Six Sigma professional? We have good news for you; we have a solution, which can help you clear the IASSC certification. We are here to assist you in achieving your goal by using our online certification practice exam platform. 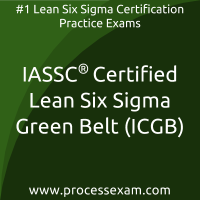 With tons of experience in the field of Performance, Process and Quality Improvement, our expert panel has designed these practice exams the same as real IASSC certification exams. 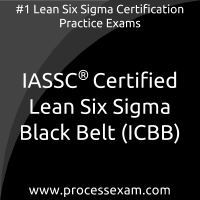 Our team of experts recommends you to use these online Lean Six Sigma certification practice exams for your IASSC ICBB or ICGB or ICYB Certification preparation. These practice exams will help you to validate your knowledge and identify the areas which need improvement, will make you familiar with IASSC certification exam environment, exam pattern and question format. ICYB mock tests are not only reasonable but are also backed by a safe and secure payment system. I did not face any kind of problem while paying for the practice questions. They gave me the right kind of environment to practice for the actual IASSC Certified Lean Six Sigma Yellow Belt certification exam. I have recommended the tests to many more aspirants who wanted to clear the exam at first attempt.